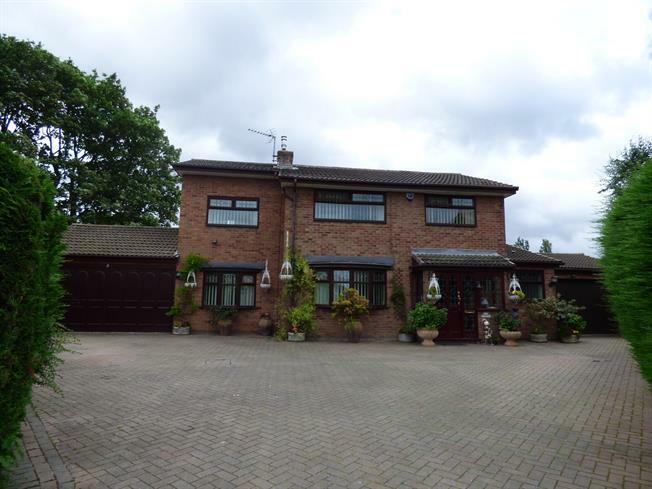 6 Bedroom House For Sale in Liverpool for Asking Price £375,000. Set on the idealistic Liverpool-Leeds canal in the much sought after and revered village of Lydiate, this particular property sits at the end of a quiet estate overlooking the canal. With tremendous local transport links and access to local amenities including many shops, bars and local schools. The perfect family home! Boasting off road parking for several cars and a double garage either side of the property, the scene is set upon entry to the hallway which is swamped in natural light. To the right there is a downstairs bathroom with shower, bath, basin and WC. To the left of the hallway is a stunning lounge with a shared fireplace with the dining room which flows seamlessly into the conservatory. The kitchen and utility room complete the ground floor and lead to the stunning garden with gated access to the canal. Continuing the tour to the first floor you will find six bedrooms and a further family bathroom. An early internal inspection is a must!